Linx+Neemu+Chaordic is the lead provider of personalization for ecommerces in Latin America. Its solutions impact directly in user engagement and conversion, helping consumers find and discover products relevant to them. This project consists of a task-management and task validation tool to help Linx+Neemu+Chaordic's interface with the technical team responsible for the implementation of the solutions within each store ecommerce platform. 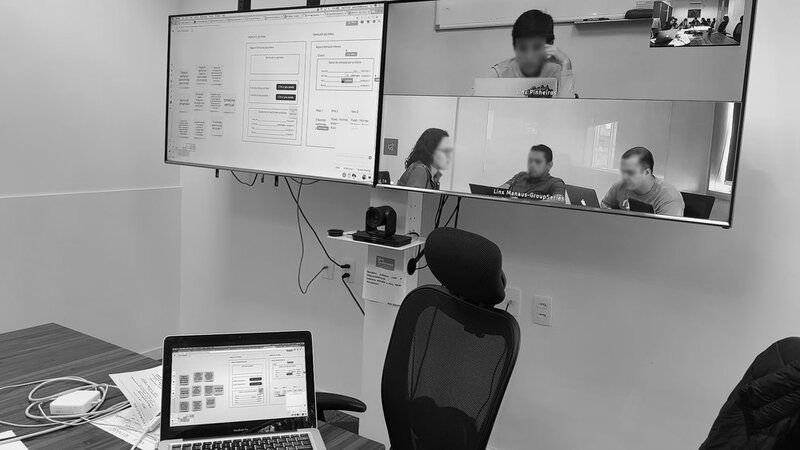 Meaning the Portal Integração clients ranged from internal (stakeholders from solution's Integration team) to external (Linx+Neemu+Chaordic onboarding clients). One of the reasons Linx+Neemu+Chaordic's algorithm works so well is because of the rich data it collects from the store products and user navigation. To do so, it requires the solution integration to be detailed in a way that makes the onboarding process seem like a lot of work for the clients' teams. When I hopped on board of this project, the UX team had already identified this by analysing the company's current customer journey through a series of detailed interviews. Our pain points were: Integration had too many contact points (spreadsheets, documentation, validation interfaces and others) and took too long. By studying every tool previously used and recent discovered needs of the Integration team and clients, we were able to condense the information on a single platform containing documentation, validation and communication between the actors of every step of the process to provide a better onboarding. But instead of jumping right into it, we planned this project for the long run. We've agreed on the value each feature would have (as making the process less painful for the clients) and sat down with the developers team for them to estimate effort of the same user stories. I had then, features roadmapped for a year, prioritized by their return of investment. Linx+Neemu+Chaordic's Integration team was one of the biggest teams in the company. For this project to be a success they would have to operate it on a daily basis to keep the information updated. Their insight was taken into consideration since the very beginning but each trimester we sat down to reconsider the roadmap according to the latest round of client feedback. I've facilitated a workshop in which representatives of the integration team and developers worked together (even though spread across three different cities) voting for the most urgent problems and working as teams to prototype solutions on paper for our collaboratively-built persona. Implementing internal processes and making sure a team engajes with a new tool is a mission vulnerable to resistance to change by the actors involved. In projects like these, the success lies in gathering the most input from the team, while also keeping an empathetic impartial standpoint to be able to advocate for the external client as much as the internal one. Most of the technical account managers involved felt awkward sketching their ideas into paper at first, but as they progressed, they realized how valuable their perceptions could be in the creative process when everybody worked together. In 2016, the average integration time for Linx+Neemu+Chaordic's clients were 106 calendar days. 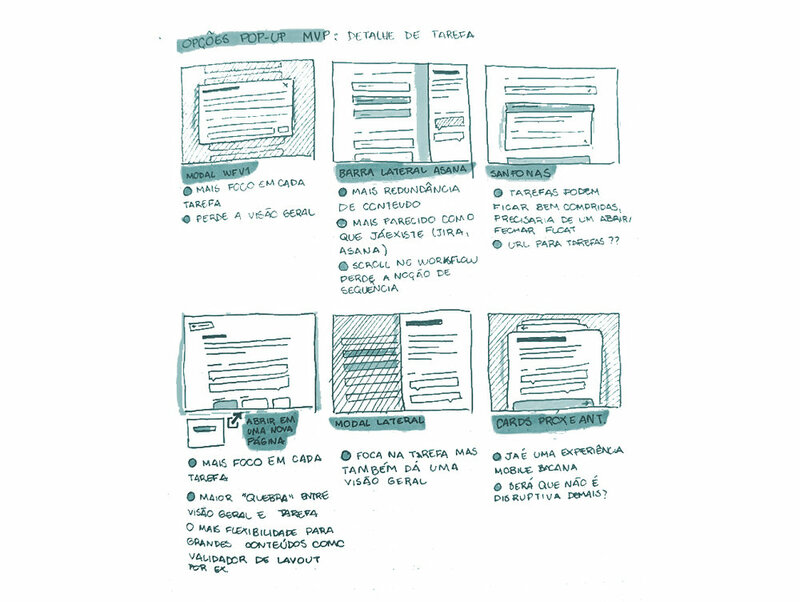 Portal Integração was one of the initiatives set in motion by the Product Experience team that helped give the clients visibility, clear instructions of what to do and when. Breaking this process into tasks with their own documentation and validation attached to it meant the client's technical team could focus on one task at a time, while also externalizing their doubts and troubles in the same interface. By listening to client feedback, we've also given visibility to the project sponsor via weekly reports with an overview of the integration tasks and deadlines. Transparency here means that everybody is up to date with the information they need to make decisions faster. The engagement with the platform reduced reworking and brought amazing feedback from our customers. In 2017, our average integration time for the same period had been reduced to 47 days.